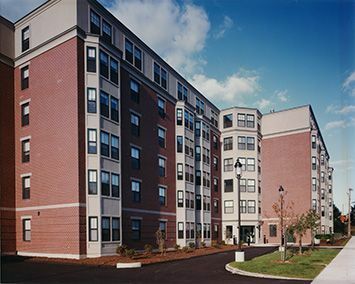 Everett Villa Co-op, better known as ‘The Jewel of Everett’, is an engaging and welcoming senior apartment community located in Everett, Massachusetts. This Cooperative community opened in 2000 with 78 units on six floors for those aged 62+ that income qualify. Everett Villa Co-op is nationally recognized a “A Community of Quality” by the National Affordable Housing Management Association. Everett Villa has come to be a healthier and safer environment to live in by becoming 100% smoke free. Smoking is not allowed within the individual apartments, the common areas, and within 25 feet of the building. The word “retirement” does not describe the resident members of this community because there is always something going on that keeps them active. Resident members have the opportunity to participate in different activities held in the building on a regular basis and there are many committees for members to get involved with; bingo, entertainment, parking, kitchen and leasing, just to name a few. Likewise, there is plenty of time to enjoy the serenity of their own modern apartment. Everett Villa Co-op is accessible by public transportation and sits at the crossroads of routes 99 and 16. Route 93 is a short drive away. Gateway Shopping Plaza is located less than ¼ mile away. Everett Villa Co-op is affordable for every qualified senior. Every unit has subsidy and resident members pay only 30% of their income for rent. Please come on down and enjoy your golden years at Everett Villa Co-op. Everett Villa Co-op is proud to be recognized as a NAHMA Communities of Quality Corporate Partner. This designation is for multifamily properties that have achieved a high standard of excellence in the way they are managed, the services they provide residents, the experience and training of personnel, and other criteria.